I finally used some of the matcha tea K gave me. 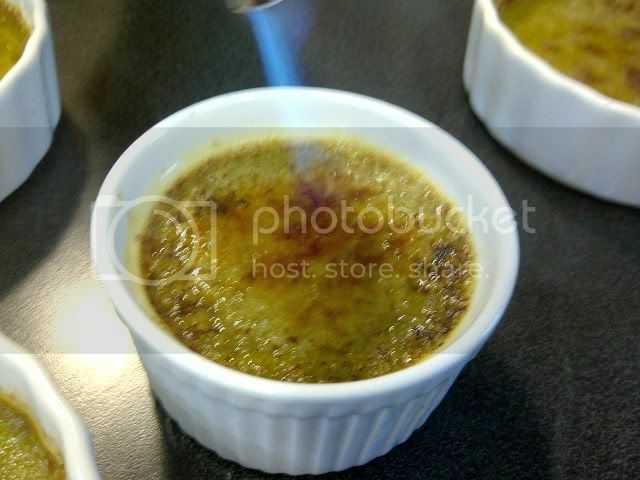 I was saving it for something special- another crème brûlée as a part of my tea series. There- honestly, I never thought of it as series till now. Because after this, I am going to try to make a ginger one for K.
So these are hanging out in the fridge since Wednesday evening when I found out that my oven is messed up. I brought the ramekins to work and it was K who actually torched the tops. That was neat but I also love doing it in the broiler. 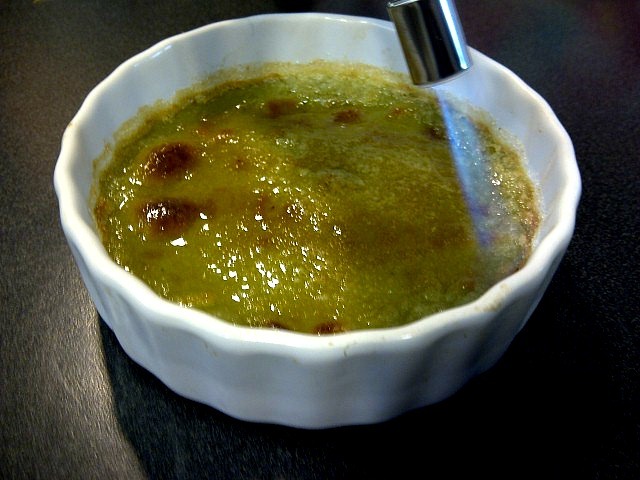 And the crème brûlée itself? K said it's like eating green tea ice cream and the rest of the girls? They really should post their comments ha ha ha. Anyway, I used the same recipe with the addition of the matcha tea. Preheat oven to 325°F. Whisk yolks and sugar in medium bowl until thick and pale yellow, about 2 minutes. Bring cream (half and half and heavy cream) to simmer in heavy small saucepan. Ladle a cup of the cream mixture in a separate bowl and add the matcha tea powder. Whisk until incorporated before transferring it back to the saucepan with the rest of the cream mixture . Gradually whisk hot cream into yolk mixture. Whisk in vanilla and then strain the mixture using a cheese cloth to ensure smooth texture. 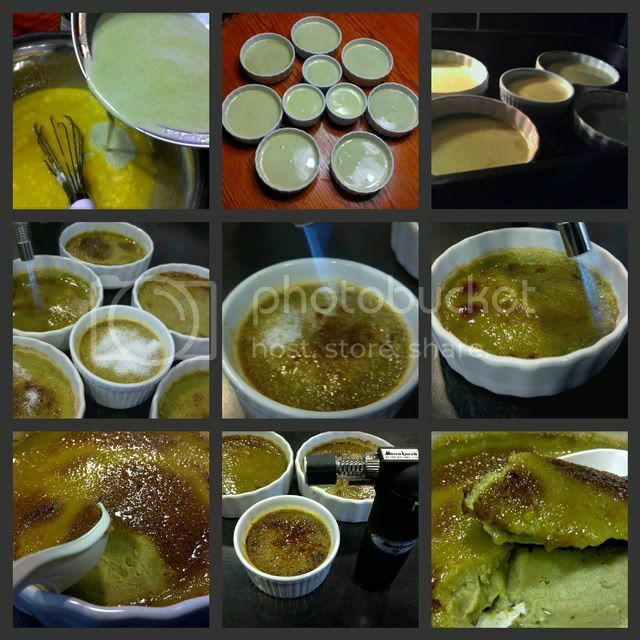 Divide custard among ramekins or custard cups equally. Arrange cups in a rotisserie pan. Pour enough hot water into pan to come halfway up sides of cups. Bake custards until gently set in center, about 25 to 30 minutes. Remove cups from water and refrigerate uncovered until cold, at least 3 hours or overnight. Preheat broiler. Place custards on baking sheet. Sprinkle 1/2 tablespoon brown sugar onto each. Broil until sugar starts to bubble and color, moving the sheet around to prevent burning, just until sugar caramelizes. Chill until topping is hard and brittle, at least 1 hour and up to 6 hours. can anything be used instead of a cheesecloth to strain the mixture?? Certainly! A very fine wire strainer will do. 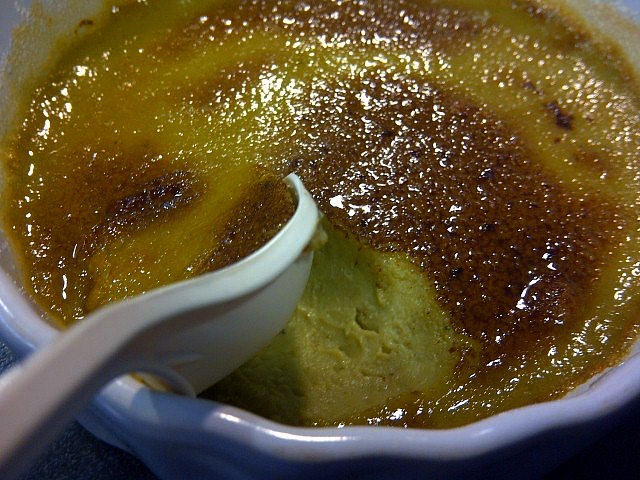 I see that for your regular creme brulee, you used heavy cream instead of both heavy cream and half&half. What is the difference between using one or the other, or both? 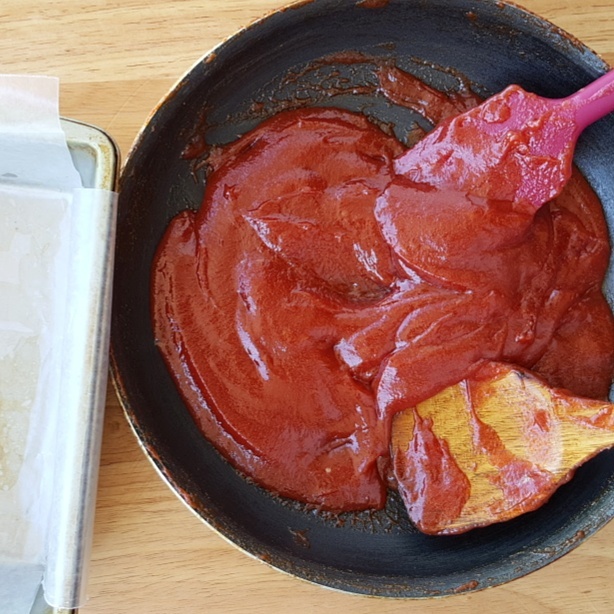 I was actually testing how the texture changes and I found out that there's no drastic change so in the end, I just use half and half so less fat which is not necessarily less flavor.